Why Name Cards Beat Smartphone ? When I received my first event invitation to attend as blogger, I learn how important for bloggers to carry own name card. I remember my first event , one PR hand me her name card and I was so embarrassed for not being able to hand out mine in return. She did asked for it and I was shyly replied I don't have one. Lesson learn! I carried my business card for second event. 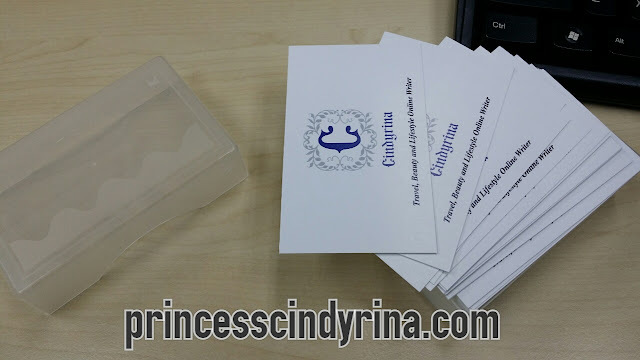 I then asked one bloggers who was sitting beside me for her blog url while handing out my new name card. She then shyly replied she need a pen and paper for her to write her url. Hope she learn her own lesson like me too. Then I realize this is how I look like during my first event. I look so sloppy and not ready to represent my blog. Some people may commented , we are just bunch of bloggers and most of us just start a blog for fun during pass times as hobbies. To be honest, I did started out for rant space and over the years its shows some small coffee money out of it. Not bad! Some people commented why need name cards when smartphone is enough when you attend event. Well....whether you are at networking event or product launching event, if you meet your fellow blogger or PR, nothing beats the power of name card. Do you ever encounter the same experience like mine? People always asked for it when you don't carry one? Have you ever see their face expression when you replied , you don't carry any and ask for theirs instead? You will end up spoil your chances to connect with other parties. With name card , you can show you are professional and means business. You even have your own logo, contact details, blog url, sns name which make it easier for potential advertiser to contact your for future collaboration. Too many blogs out there. Let say you meet someone and they have interest on your blog. Example your blog call 'superbrokelady'. It sounds awkward to say it in event, though! Well your blog name may sounds stands out but let say people need to google out that phrase and there are too many results from google and they may end up refer to the wrong site. They may probably give up and move on with other! Further more, I don't think most of the people you met will find you are important enough and remember all your details. You don't expect people to memorise your blog name, instagram and fb name , right? I bet that potential readers or people you met, may forgot all about it within few minutes. 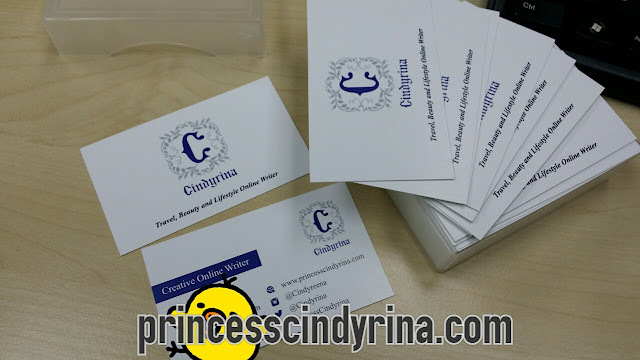 Getting a business card now as easy as 4 simple steps via online business card printing. I ordered my business cards online at gogoprint.com.my. 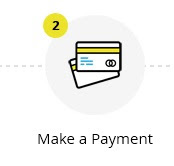 The process are simple and delivery is super fast too. I chose MY Gogoprint Sdn. Bhd. 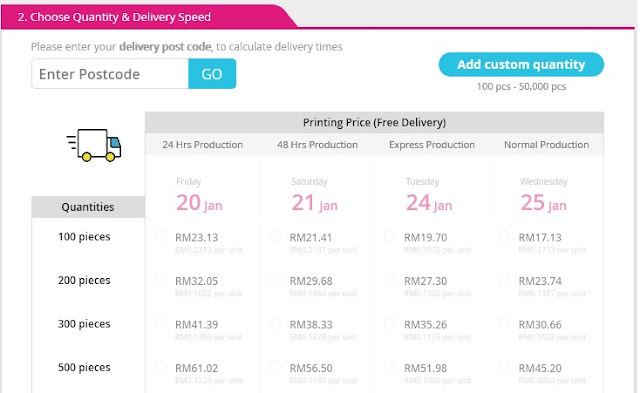 , a leading online printing marketing and technology firm offers free delivery service all over Malaysia. 1. Choose size option - recommended size is 9 x 5.4cm. If you have you own size in mind you can customized you own too. 2. Then choose whether you want your name card to be one side or both sided printing. You can also opt for full color. 3. Then select paper type - most popular type is 310g art card. You can also choose other option which is 260g art card. 4. Finally , choose your desired finishing. They have few options here and the most popular is NONE mean normal edges. Other options available are Rounded Corners, Lamination Matter, Lamination Glossy and Lamination Matte with Rounded Corners. 2. Then choose your desired quantity. For example 100 pieces, 200 pieces and the order can up to 10,000 pieces. 3. 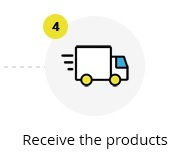 You can also choose the delivery based on your urgency. For example 24 hours, 48 hours , Express production and Normal Production. 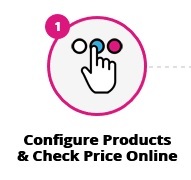 They even set the timeline for you to expect receiving the finished products. You can upload file if you have any. However, this is the challenging part for most of us. Like myself I really bad in all this artwork file like Ai and so on. I only know jpeg. Don't worry too much. 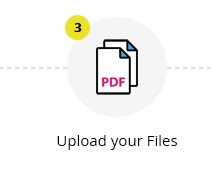 You can always contact super fast responsive customer service at gogoprint.com.my for advice before you place order. They help me with mine. While not leaving office or house.....my new name card for 2017. What do you think ? Nice design or not ? By the way, you can also order other printing services like invitation cards, flyers, letterhead , postcards and many more via Gogoprint.com.my. I know right, I facing the same situation with u when PR asking me a namecard and last I go make for it. Omg I had the same experience as well. Should probably get my own namecard asap then.. The moment I got my first event invite, that's also the time I prepared for my own name card. It is a simple card yes, but this is your weapon, and makes you more credible, and respect as a blogger. I've printed cards as soon as O began circulating, so to speak. I find that not everyone wants to swap cards, particularly those who are not in the PR line.